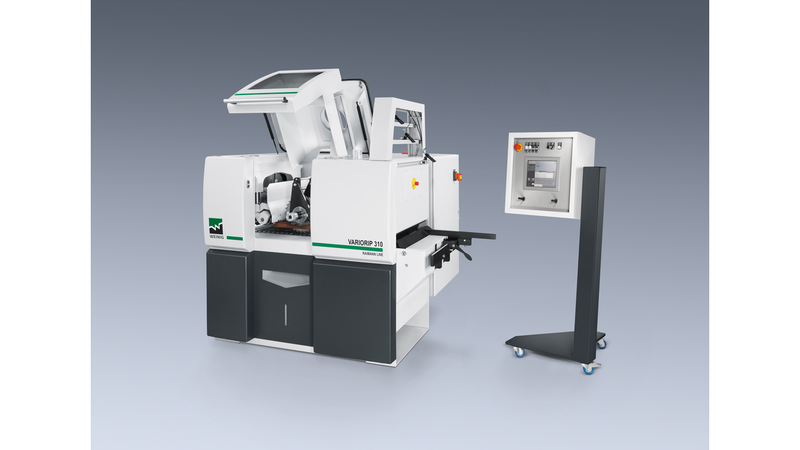 The compact, robust VarioRip is the ideal machine for small and medium-sized operations. Whether as a multi-blade or optimizing rip saw, the new VarioRip 310 impresses even in the standard version with high-quality equipment and excellent user-friendliness. The patented Quickfix quick clamping system enables rapid retooling. SafetyPlus, developed and patented by WEINIG, ensures optimal operator protection. Upgraded with up to two automatically adjustable saw blades, the VarioRip offers an intelligent entry into wood optimization. The modular design allows the VarioRip to be optimally adapted to every requirement.